This is one of the biggest bundle deals ever. With literally thousands of high-quality elements for creative designers, this Bundle Storm pretty much has it all. There are Stock photos, Vector images, Backgrounds, Patterns, Themes, Gradients, Actions, Icons, Buttons, Infographics and mascot. This ginormous collection of tools is sure to impress even the most seasoned of Web designers. This ridiculously massive bundle of bundles normally sells for the low price of just $147. That’s insane to begin with! 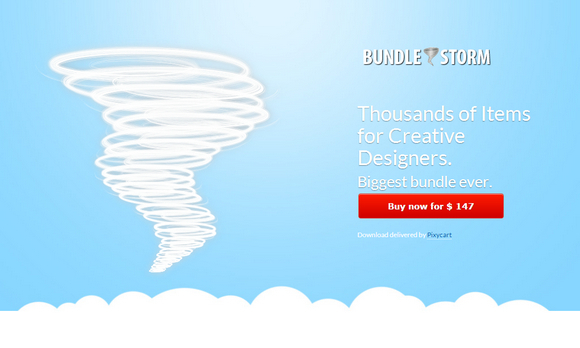 But for a limited time only, you can get this Bundle Storm for a mere $47. That’s thousands upon thousands of design elements for less than $50.